Apple on Monday unveiled its thinnest and lightest MacBook Pro ever, with the latest Intel Core processors, code-named Ivy Bridge, and a high-resolution 15.4-inch retina display that the company said is the best quality display it has used in laptops to date. The new MacBook Pro has a 15.4-inch screen that can display images at a resolution of 2880 by 1800 pixels, which is a resolution higher than full high-definition. The screen has better contrast and deeper blacks, and glare and reflection have been reduced, said Phil Schiller, senior vice president of worldwide marketing at Apple, during a speech at the Worldwide Developers Conference in San Francisco. The new MacBook Pro is only 0.71 inches thick and weighs only 2 kilograms. It has the latest Core i7 processors code-named Ivy Bridge running at up to 2.7 GHz, which can crank up to 3.2 GHz in specific instances. The laptop is built around flash storage, with a capacity of up to 768GB. The laptop offers seven hours of battery life and supports up to 16GB of RAM. Apple’s next-generation Macbook Pro has the company’s best laptop display to date. The laptop has two Thunderbolt ports, USB 3.0 ports, 802.11n Wi-Fi, Bluetooth 4.0 and a FaceTime high-definition camera. Also available with the laptop will be Nvidia’s latest GeForce GT 650M graphics processor. The laptop is priced at US$2,199 with a quad-core i7 running at 2.3GHz, 8GB of RAM, GeForce graphics and 256GB flash storage. There are configurations beyond that too. Apple on Monday also refreshed the MacBook Air, loading it with Intel’s latest dual-core Core i5 processors and USB 3.0 ports. The Air laptops support up to 4GB of memory and up to 512GB of flash storage. An 11-inch MacBook Air with a dual-core Core i5 1.7GHz processor with 4MB of RAM and 64GB flash storage, will start at $999. With 128GB flash, the laptop will be $1099. The 13-inch MacBook Air will start at $1,199. 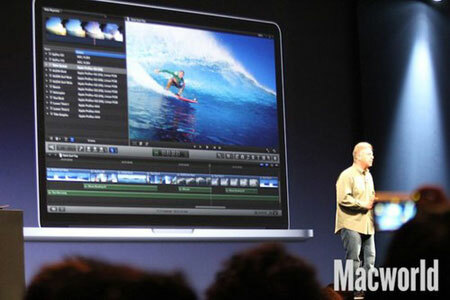 The company also updated its 13-inch and 15-inch MacBook Pro laptops with the latest Ivy Bridge processors. The new laptops will have Core i5 and Core i7 processors with up to four CPU cores running at clock speeds up to 2.7GHz, which can speed up to 3.2GHz in specific circumstances. The 13-inch starts at $1,199 with a Core i5 chip. The 15-inch models start with the quad-core Core i7 at $1799. All the laptops have faster graphics than predecessors, Apple said. The laptops are available immediately.